Update, December 19: Leaderboards for PlayerUnknown’s Battlegrounds will be reset in preparation for the release of update 1.0. Tomorrow marks the scheduled release date for PlayerUnknown’s Battlegrounds version 1.0, as the game finally leaves Early Access after taking the world by storm. Your leaderboard position won’t carry over into the full game, however, as those rankings will be reset tonight. Do you prefer Battlegrounds in third-person or first-person? In anticipation of PUBG leaving Early Access, our leaderboards will be reset on Dec 19 6PM PST / Dec 20 3AM CET / Dec 20 11AM KST. The new season will start once the PC 1.0 is deployed on the live servers. The exact schedule for the PC 1.0 update will be shared soon. PUBG 1.0 will bring over all the features you’ve probably already been enjoying on the test server, including replays, vaulting, and the new desert map, Miramar. Original story, October 10: PUBG’s leaderboards were meant to be reset and a new season started tomorrow. This was announced in the past couple of weeks and is an expected move to help keep the competitive ladder interesting. 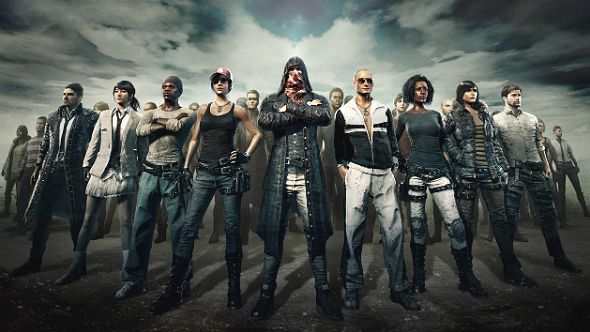 Unfortunately, due to “concurrent users increasing rapidly” the developers at newly enshrinedPUBG Corp.were worried that simply resetting wouldn’t be stable. Instead they’re going to turn the ladder off today, then back on a week later after some server maintenance. Obviously, you can still play games while things are down, but results won’t be recorded. There’ll be some server maintenance between now and October 17 to help get it all working. With the number of FPS games on the horizon, it seems unlikely they’ll continue to gain users at their current rate, but we all would have said the same when they passed the million mark and just kept accelerating.